“Our worm bin is about three by five feet, and is outside in a shaded area. We have two hay bales on two sides and two doors on the other sides, the bottom is laid with wire mesh. I put cardboard on the ground and hay over that and about an inch of scraps from our kitchen that turned out to be mainly rice. The worms seem to be staying on top of the food and don’t appear to be eating the food. Is that a normal response to the new environment? If so, how long will they take to get use to their new home? Also, just today I noticed that some parts of the bin had heated up to 80 degrees and some parts were still cool. Is the heat being generated by the food decomposing and should it be even throughout the bin? I added water two days ago because it felt like the food was drying out. They are predicting rain for this weekend and I don’t know if I should take any precautions for the rain? Lastly, we seem to be fighting with a critter that I think is a ground hog that keeps getting into the bin. He only goes into about a quarter of the bin and stirs things around. How serious is this problem? I can’t tell if he is after the worms or the compost. We have an open traditional compost about thirty feet away so there are other sources of food but this guy seems to like our new bin. 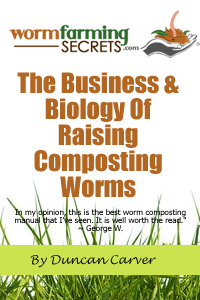 Thank you for your support for the newsletter (Tracy purchased her composting worms from Worm Farming Secrets) and for such a long and in depth question! I will answer this bit by bit. It seems that you have set yourself up a very nice and cozy medium sized wormery! From what you have told me, the set up seems great. In the climate you are in (40°F, 4°C) it is definitely not an overkill with the hay and old blankets! It seems that you know what you are doing to keep the wormery insulated well. However do take care of oxygen flow. Although activity of the worm bin may be slower in winter, do take the covers of once every 3-4 days to give it a good batch of fresh oxygen. The cardboard and hay provides a great bedding for the worms and it seems that you have moistened it which is fine. 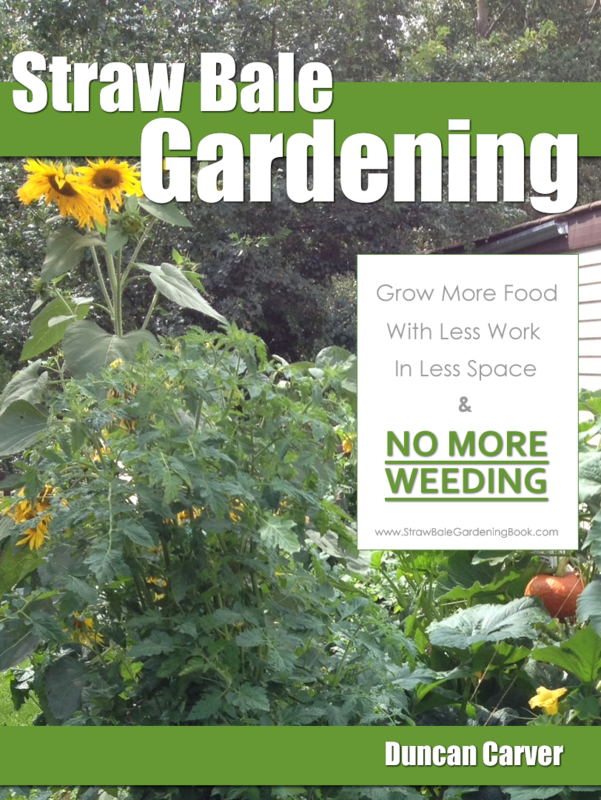 The straw and saw dust that you have placed on top of the food waste is great for providing the extra carbon material that a healthy wormery needs as more food waste is added on. As long you keep the carbon:nitrogen ratio in between 15 – 30:1 then it should run healthily atorvastatin calcium. Although it seems that you have got your carbon materials right, the worms are not going through your waste. There can be quite a few reasons for this, and all these reasons may be happening all together at once! I will list out some of the most common ones. You are absolutely correct that worms need some time to adapt to their new environment. It has been studied that worms will process waste most efficiently if they are born and bred within that same environment from the beginning. If the worms are moved from their usual environment and placed into a new one, they need to suddenly adapt which will take time. As to how much time will it take for them to fully adapt? Well, the study has shown that worms will actually not adapt to the new environment to its full capacity. Therefore the worms will not process the new waste as fast as compared to when they process the waste that they were born and bred in, even if they are ‘adapted’. Before you get too disappointed, the great thing about earthworms is their incredibly fast reproducing speed. The worms will start to mate and produce cocoons almost immediately in the wormery system. The cocoons will start to hatch in about 1-1.5 months and then take another 1-1.5 months to grow and mature depending on the species. So you will be looking at about 2-3 months before your wormery will be kicking in at full capacity. This doesn’t explain why the worms don’t seem to be sinking into the food waste, as slow adaptation should only mean slower waste processing rates. But I believe it is the initial slow processing rate which is the contributing factor. The cold weather will also contribute to these lower processing rates by the worms. Since rice is the major component of the waste, slow initial processing will cause problems. Rice as a worm feed is fantastic, as it is soft and molds quickly (mold aids the decomposition of the waste and encourages other microbial growth making it suitable for the worms). However, the combination of rice decomposing quickly and slow decomposition by worms will cause problems. When I say rice ‘decomposing’, the more correct term should be rice ‘fermenting’, as the rice mashes up together it creates a low oxygen environment and the rice will start fermenting and turn sour. This affects the pH of the bin (more acidic) which the worms will not like and will move away from. In other areas of the bin, if there is oxygen, the bin will heat up due to the sudden quick growth of microbial activity causing an uneven disperse of heat. Normally the heating will cause the worm bin to overheat to the point where worms will start to find it unbearable. This is not good, and since the worms should consume the microbes before it produces heat, a healthy worm bin in room temperature should not heat up. However in the cold winters, worms do usually work slower, which gives the waste a chance to rise in temperature a little. The heat proves useful in keeping the wormery warm and at 80 °F, 26°c it is a good bearable temperature for most composting worm species. To solve your problem, I would suggest you let your initial batch of worms to settle in more easily by adding less waste initially to give it a chance to adapt to the food material before it turn sour or hot. Check your current bin pH (cheapest by using some litmus paper, or invest in a good pH meter) and if the pH is low (sour/acidic) then do add some alkali material and compost neutralizer which you can buy from most gardening shops. It will also be very helpful to aerate your wormery by mixing it up a little, although it is best to only do this once in a while, as mixing the material in the wormery too much will disrupt the worms. This causes stress and will affect it from settling in. As the worms settle in, the worms will do the hard back- breaking work for you, which is what you will want! Slowly start adding more waste in as you see the worms settle in, and new worms emerging. After 2-3 months, it should be okay to dispose your normal capacity. Work along with your wormery and adjust as necessary, it is always a mistake to dump all the waste in there and just expect it to magically disappear! In regards to the rain, you do need to take precautions. Even if the wormery is built on a well drained soil, it will pose problems if water starts to build up in heavy rainfalls. If the wormery is waterlogged, it will affect the oxygen ventilation within the system, resulting in escaping worms. Give it some covering to prevent this from happening. Last of all, the uninvited guest to your bin may be of concern, especially when we are not entirely sure what it is. Although a ground hog does not eat worms as its normal diet (it is more likely that it is attracted by the food! ), the constant disruption will again stress out the worms, affecting their processing and reproduction rates. If a metal mesh is used as a base, then it doesn’t seem likely it has crawled in from the bottom (unless it made a nice hole! ), but from the top! It will be best to keep the top of the wormery system covered by a water proof sheet which is then held down by something heavy down the sides. Not only will this help protect it from rain, but from predators and other disruption! Hope this all helps! Good luck with your wormery!